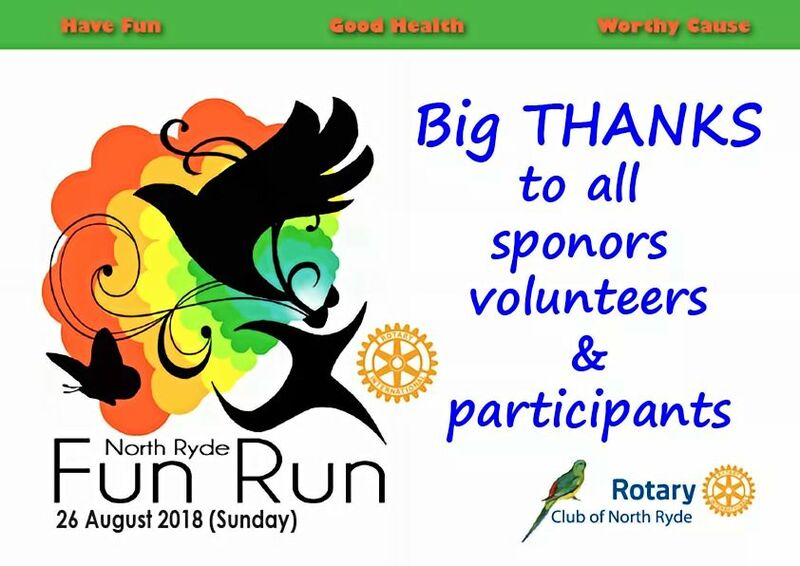 The Rotary Club of North Ryde will be holding a Thank You breakfast for the sponsors of the 2018 North Ryde Fun Run. It will be held on Friday 23 November at Dunmore Lang College 7.00a.m. for 7.15a.m. start. The cost will be $20 per person, no cost for Sponsors .